through the Sasquatch Genome Project completed mtDNA testing, but the nDNA testing for the Toenail of Bigfoot was never completed. We have an offer from a very fine DNA Lab to get that ever so important testing completed. We are less than $1300 from our goal to get that testing completed. PLEASE HELP BY DONATING TO THIS FINE CAUSE. We need donations to complete the testing. You can donate right here on our page, by clicking on the Donate Button at the very bottom of this page. This donate button goes directly to out Paypal account. To make it worth your while, We have decided that everyone that Donates will get a physical copy of the results in PDF form. So in this case you can actually be a part of the project. Richard Stubstad paid for our mtDNA testing now we need your help to complete the Genome and finish the nDNA testing~Donate today! With a Very Sad Heart The AZCRO wishes to report the passing of our friend and a very great man in the Bigfoot world. I'm saddened to announce that Richard Stubstad passed away due to complications with his long battle with cancer. He will forever be in our minds and part of our research. Larry Jenkins and I are both very saddened by the news, but pledge to continue our quest for the truth and the discovery of this species known as Sasquatch, as Richard would have wanted to do himself. It is through the discovery and understanding of DNA that we hope to make this happen. 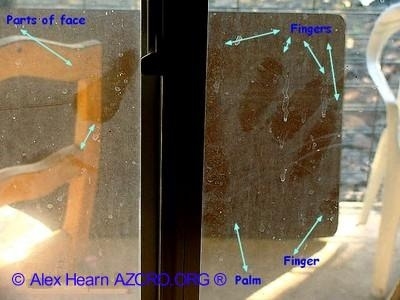 Richard was vital to that search and vital to our investigation here in Arizona. Good Bye Richard you will be missed! 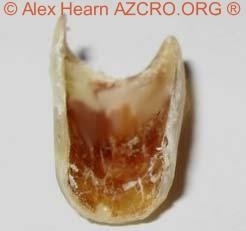 Larry Jenkins Discovered Toenail of Bigfoot! 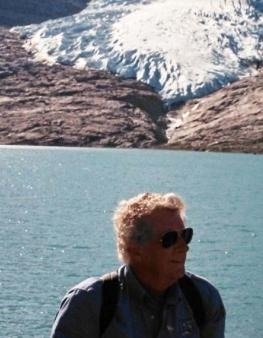 Richard Stubstad - Science Alive - Richard who allowed us to list him on our page as Friend to The AZCRO - will always be missed and now will forever be examining our findings. Though not with us any longer he will always be included in our success. He funded part of the most important piece data that we have. We are honored to have been able to consult with him on those findings and so much more. We hope that you will come to think of our findings as his also. Thank You for this opportunity, Richard it was an honor to have known you. Rest in peace sir! With Rock Drawings found nearby - Drawings found By Larry and myself. Is doing so with out permission and should be reported. Who: We are a team of individuals dedicated to the discovery of information and the collection of data on specific activities predominantly in Arizona. GOALS: To prove or disprove the existence of creatures such as the Mogollon Monster, giant birds, big cats, and other historically mythical wildlife living in Arizona. WHERE: Our research ranges from Arizona's Rim Country, the White Mountains, and Indian land where permitted. HOW: Through hands on research and data collection, which includes video and audio recordings, photographic evidence, collection of physical evidence, and interviews with potential witnesses. The Crypto Zoo - Radio show - on Live Paranormal's History FM Network. With Your Host's myself, Alex Hearn & Big Tex, Jeff Stewart. At The Zoo We talk anything from Cryptozoology to Zoology, and we might stop some where in between on occasions. So stop in The Zoo and feed the Animals~~~Mainly Jeff and I! Tour of Arizona Mogollon Rim - With Dr John Bindernagel, BC, CA. & Victor Orepeza. This is what we are after in the Big Cat Project. Above: Some recent Arizona Photos. The Big Cat was hit by a vehicle north of Williams, AZ. Weight was estimated at 250Lbs, the cat actually topped out at 220 when it was finally weighed! That's still 100lbs larger then most Mountain Lions. What else is out there? For one, another one of these Big Cats! This one was sighted numerous times with another just as big! The AZCRO's BIG CAT PAGE. Actually some reports have MM looking very much like this. a much more human looking face and eyes. 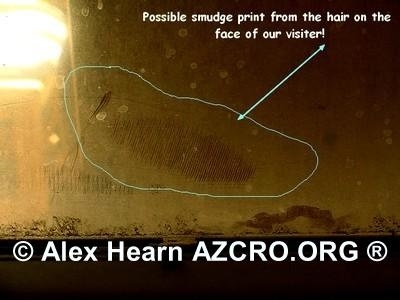 Would you like to Sponsor the AZCRO? HAVE YOU SEEN A BIG CAT, THE MOGOLLON MONSTER, OR OTHER CRYPTID IN ARIZONA? WHAT DATE & TIME OF DAY WAS YOUR SIGHTING?